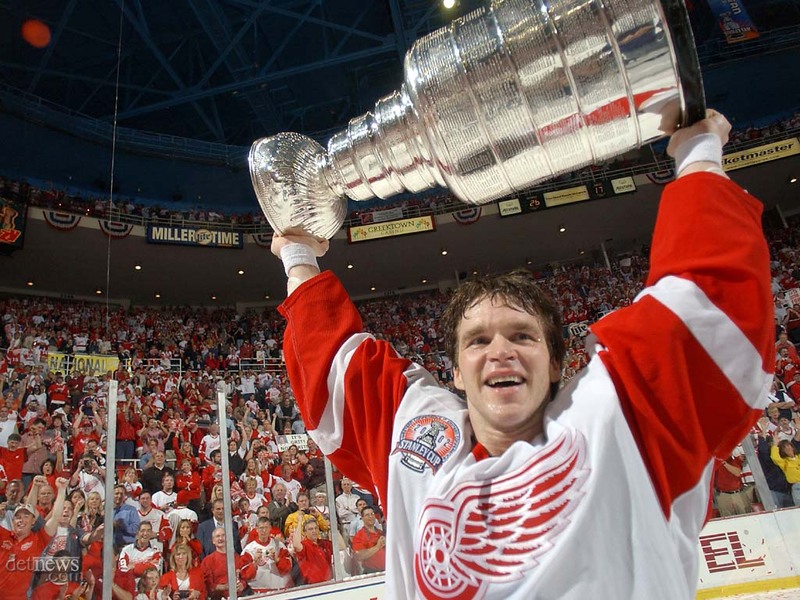 Growing up as a hockey fan in the 1990s, the Detroit Red Wings were an easy team to root for. Their fast, skilled game made them the antithesis of my beloved Buffalo Sabres, who at the time were full of thugs like Rob Ray, Bob Boughner, and Matt Barnaby. That’s not to say I haven’t always been a diehard Sabres fan, but when your favorite team’s leading scorer is Derek Plante it’s hard to not be attracted to an always-winning franchise led by the ultimate captain Steve Yzerman and a prototypical power forward in Brendan Shanahan. Being from Buffalo, the Red Wings always seemed like they were playing on another planet. I remember staying up late to watch the team’s west coast and central time zone games whenever they were on TV. Gary Thorne would broadcast the games for ESPN, being joined by either Steve Levy or Bill Clement and would describe how the team had been playing since I last saw them. There’d be a few highlights of Vladimir Konstantinov absolutely destroying someone with his signature hip check while Darren McCarty would line up next to Draper and Maltby to form the (in)famous grind line. Staying up late enough to catch a glimpse of NHL2nite was always worth falling asleep the next day in school. Believe it or not, when I was in second or third grade I didn’t really appreciate the catharsis of watching your team win the Stanley Cup after years of struggling and disappointment. The Wings had cool players and my library had a copy of the team’s 1997 championship video, Hockeytown. That pretty much fit all the requirements for this fan at the time. I constantly begged my parents to reserve and renew the VHS tape. Somehow it didn’t occur to me that the rest of the greater Western New York area couldn’t have cared less about watching and re-watching the story about the Wings sweeping the Philadelphia Flyers in the finals that spring. I clearly remember the goatees of both Shanahan and Eric Lindros as well as McCarty’s deke on Ron Hextall. For an impressionable second grader, Sergei Fedorov was the epitome of cool. He was sleek, classy, and when a youth size Fedorov jersey went on sale I cried and whined until my parents bought it for me. That summer and the following season, I used the strength the Fedorov jersey gave me and led my NHL ’98 (with the hated Peter Forsberg on the cover, no less) Wings to the Cup. Brent Gilchrist led the team in scoring, although in retrospect I could’ve put Joey frickin’ Kocur on the wing next to Sergei and Steve Yzerman and broken a few records. Even though if I was in second grade now my lax criteria for fan hood would probably lead me to the Penguins or Kings, there still seems to be something elegant about the Red Wings. They’re not just another team, they were the standard of the NHL for over a decade and might be the league’s equivalent to the Yankees. Well, Toronto is probably the Yankees but Detroit is at least the NHL’s Philadelphia Phillies. Ken Holland has a big summer ahead of him in Detroit but catching the attention of new fans is something he doesn’t have to worry about.